Former RAF Regiment Airman and Military Guard, Rob Tarn, is one of those enjoying a career switch, and a new role in the housebuilding industry at sites across Northern region. He joined the RAF Regiment in 2004 and spent the majority of his time there in the Queens Colour Squadron, serving on operational tours of Iraq and Afghanistan and providing protection to ground troops and deterring enemy movement or attacks on camp. Rob is enjoying the challenge his new job offers and now lives in Shropshire with his wife Helen and three-year-old son Bobby. He is currently working at Oakford Grange in Telford after a stint at Green Acres in Yarnfield. "A large part of my work involves meeting with our customers and helping them during their customer journey with us," he said. "Ultimately I enjoy delivering great quality homes and it's fantastic seeing happy customers, knowing you helped to build them a home to be proud of." 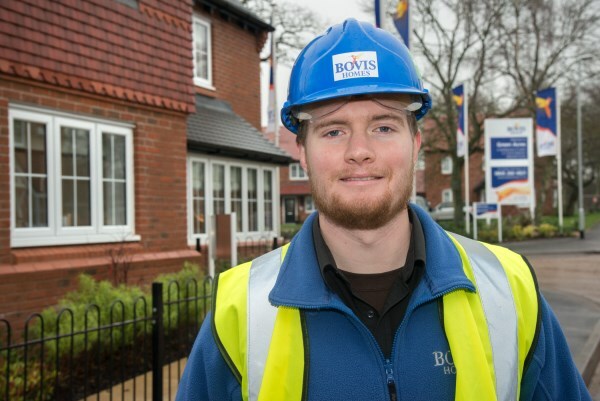 Walking onto a busy construction site every day and helping to co-ordinate the delivery of those quality homes is a challenge which clearly brings out the best in Rob and makes full use of those skills developed during his years in the military. "This industry requires you to keep calm under pressure, be disciplined and punctual, and have strong organisational skills and the ability to prioritise tasks," explained Rob. "These are obviously all fundamental skills in the military, as is being reliable and helping to keep up workers' morale to maintain efficiency and boost site camaraderie. "So the move has felt quite natural and the basic 'man management' and communication skills I learnt as a Junior Non Commissioned Officer come in handy on a daily basis. I actually enjoy being in difficult situations and learning how to overcome them. "The job itself is extremely fast-paced and the daily routine involves driving forward our objectives to achieve key stages on the site programme. I have to ensure all Health and Safety inductions are carried out and that everyone on site is working safely and complying with regulations. 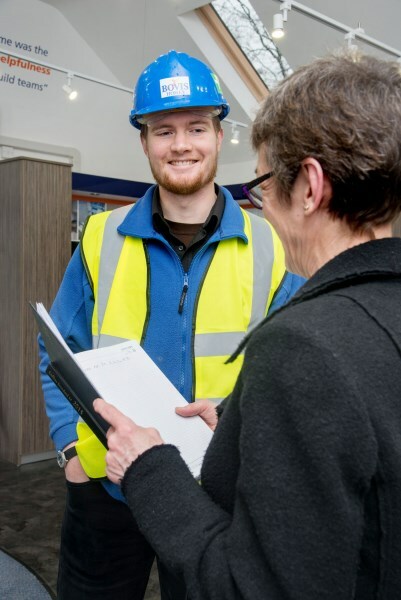 "I work with the trades to overcome any problems or unforeseen circumstances and I check the quality of work of all on site to ensure it complies with the required quality and standards we demand. I will assist in inspections, order materials, supervise crane lifts and generally oversee the site alongside the site manager."